What Do Our Customers Say About Our Trailer Plans? They like to say that "you get what you pay for". Unfortunately, anyone who lives long enough comes to realize that this is often untrue, What is true, however, is that YOU PAY FOR WHAT YOU GET. For that reason, I decided to risk paying you somewhat more (though actually not that much) rather than go with the cheapie or even freebie alternatives on the web. Having just skimmed your downloaded files, I am glad I did. The care and quality that went into your plans is worth several times the price you charge. It is refreshing and heartening to deal with honest people. - SAVE - during the shopping cart checkout! All of our trailer plans come with detailed, illustrated instructions of around 30 pages in the plans and instructions alone, with the exception of our teardrop trailer plans which are over 50 pages, thats not including the other files you get. 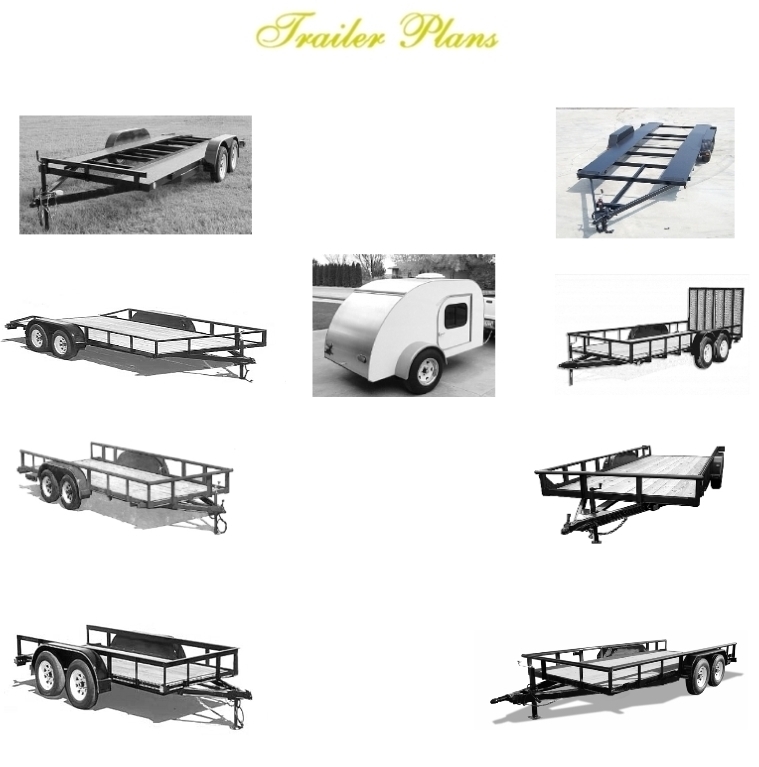 Each set of plans also includes a materials list, list of parts suppliers and a file with extra tips and extra information on the construction of trailer frames. We also include a file on installing electric brakes with step by step instructions and photos. And our plans are digitally delivered, so you don't pay any extra shipping fees and you will receive your plans and other files as soon as your paypal payment is complete! People always ask me what is the best kind of teardrop trailer to get, and I always answer "the kind you build your self". There are so many advantages to building your own teardrop trailer, starting with the cost. With the right set of plans you really can save yourself hundreds of dollars by building your own teardrop trailer. And when you build you own teardrop trailer, you can customize it to fit your style and needs. But when you purchase a set of plans, make sure you know what your getting before you buy, because you can really get scammed or worse. For example there are a lot of guys out there that are selling out dated, incomplete, hard to read, difficult to understand and even down right unsafe teardrop plans. So if there isn’t enough information about the plans in their ad, contact the seller(s) of the plans first and ask any questions that you have before you make a purchase. If you do decide to build your own teardrop trailer, a couple things to keep in mind is that a lot of people use one of those little trailers sold by Northern Tools or Harbor Freight for the frame of the teardrop, this is a really good idea for a couple reasons. First, it just makes for a lot less work on the building side of things, your frame is complete and you can start working on the actual teardrop its self. 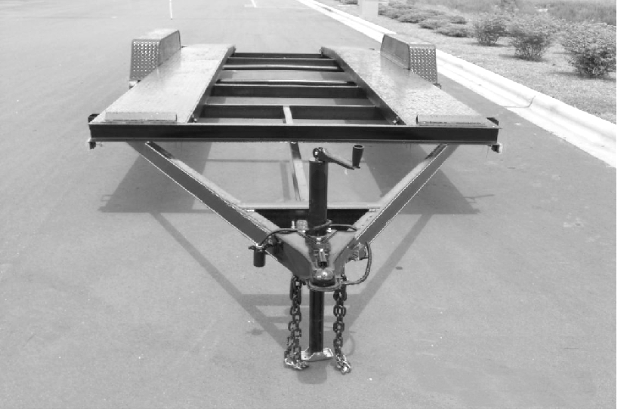 And second, when you use one of those trailers you wont have to do the DOT inspection just to be able to get it registered so that you can get plates for it. Its not a big deal to pass the inspection its self, but if your like I am, every time I go to DMV I always think I must of showed up at the worst possible time because there will be at least 20 people a head of me.The other thing to keep in mind in case you are going to build your own frame for the teardrop (which means you will have the trailer inspected), then you need to keep all of your receipts for anything you purchase to build it, most DOT offices in the U.S. will ask you for them when you have it inspected. If your thinking about building your own teardrop trailer, then stop by and take a look at our plans. We have plans for a 5 x 8 teardrop trailer with complete instructions and materials list as well as a wiring diagram and instructions for wiring the trailer. And our plans are over 50 pages, so you know they have detailed step by step instructions. Our plans are competitively priced at less than $20.00. And if you do have any questions, just send us an email and we will try to help in any way we can. Teardrop Trailer Plans, Instructions And Materials ListThe best Teardrop Trailer Plans anywhere! Our Teardrop Trailer Plans include the plans, instructions and materials list, plus you also get a file on installing electric brakes, a list of parts and materials suppliers and a file on building trailer frames, all FREE! They are all included with your purchase of our trailer plans, there are no extra charges. You just get more when you purchase trailer plans from Northwest Outdoors. These plans Include detailed instructions for building the teardrop using one of the Harbor Freight or Northern Tools Utility Trailers like the one pictured to the right. You can also find them at Fred Myers. We recommend the use of one of these trailers for building your teardrop, we include instructions on how to make a couple small modifications to the trailer to make it safe and sturdy. By using one of these trailers, you already have a big part of the construction complete and you can go right to building the actual teardrop itself, and you dont have to worry about the DOT inspection to get a title for your trailer because you already have it. But of course if you prefer to build your own frame, we give you instructions on doing that as well. These plans Include detailed instructions for building the teardrop using one of the Harbor Freight or Northern Tools Utility Trailers like the one pictured to the right. You can also find them at Fred Myers. We recommend the use of one of these trailers for building your teardrop, we include instructions on how to make a couple small modifications to the trailer to make it safe and sturdy. By using one of these trailers, you already have a big part of the construction complete and you can go right to building the actual teardrop itself. But of course if you prefer to build your own frame, we give you instructions on doing that as well.